The precious organism known in the common versions of the New Testament as the church of Jesus Christ is a unique entity. Its pristine integrity must ever be preserved, and its beauty valued by every genuine Christian of the modern world. The church is a body of baptized believers who have been called through the gospel (2 Thess. 2:14) into a special relationship with God. The fact that it shares a bond with the workings of Jehovah throughout the history of the Old Testament era will scarcely be denied. 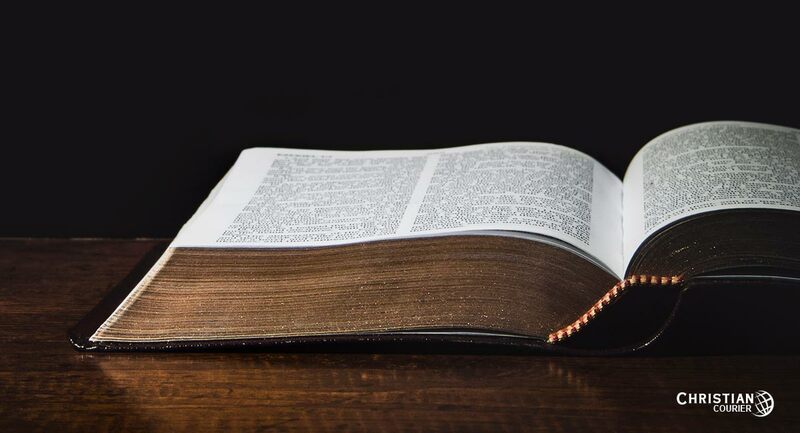 It is not surprising, therefore, that the nomenclature applied to the people of God in the New Testament should find some parallel in the literature of the Old Testament. The Lord’s people under the former regime were designated as Israel. The church is the new “Israel of God” (Gal. 6:16; Rom. 2:28-29). As the church is now God’s ekklesia (the called out), so there was an ekklesia (congregation) of the Lord’s people in the days of Moses (Acts 7:38). There was a divinely-designed “house of God” under the Mosaic economy. So today the church is “the house of God” (Isa. 2:2; Eph. 2:19; 1 Tim. 3:15; 1 Pet. 4:17). Having said that, it must be emphasized that the New Testament church is a distinct organism—a regime characterized by a new, fresh character, uncluttered by the “carnal ordinances” of the former dispensation (cf. Heb. 9:10). There is a common notion among dispensational premillennialists that the church is merely an emergency plan — an interim measure — conceived by God as a consequence of the Jewish rejection of the Messiah (Kevin 1960, 352). Such a view is wholly at variance with the Scriptures. The church was in the mind of God before the foundation of the world (cf. Eph. 1:4). Paul argues that the manifold wisdom of God is made known “through the church,” according to the “eternal purpose” (literally, “plan of the ages”) which was realized in the mission of Christ (Eph. 3:10-11). Dispensationalism reflects a complete misunderstanding of the nature of the Lord’s church. Dispensationalists allege that the “outcalling of the Church” was “hidden from the O. T. prophets” (Scofield 1945, 914). But that simply is not true. There are significant, specific details in Hebrew prophecy concerning the establishment of the church of Christ. Consider the following facts. It was prophetically announced that the kingdom of Christ (which is the church [Matt. 16:18-19]) would be established during the administration of the Roman Empire (Dan. 2:44). This was at the commencement of this current age — biblically designated as “the last days” (Isa. 2:2-4; Joel 2:28ff). The prophets foretold that the house of God (the church [1 Tim. 3:15]) would be set up in Jerusalem (Isa. 2:2-4). The Old Testament Scriptures declared that the church would be international in scope. Eventually, “all nations” would flow unto it (Isa. 2:2). These prophecies were fulfilled with flawless precision. The fulfillment of Bible prophecies regarding the establishment of Christ’s church is a fascinating study indeed. Let us look at some of these matters. Views as to the time of the church’s establishment are both diverse and extreme. Some contend that the church has existed since the Garden of Eden — a theory that hardly comports with the chronology of the Roman regime (Dan. 2:44) or is consistent with the phrase “the last days” (Isa. 2:2). A more popular view in early days of the twentieth century, particularly among our Baptist friends, was the notion that Christ set up the church during the days of his personal ministry. In 1938 in Little Rock, Arkansas, Ben N. Bogard, founder of the Landmark Missionary Baptist Church, debated with N. B. Hardeman on a variety of propositions. In one of these Bogard argued: “The church of the New Testament was set up and organized by Jesus Christ during his personal ministry on earth” (1938, 158). Somehow it never occurred to Dr. Bogard that there was no New Testament during the personal ministry of Christ (Heb. 9:15-17), hence, there hardly could have been a “New Testament Church” at that time. Most Baptist scholars have abandoned this untenable position and now concede that the church had its genesis on the day of Pentecost, as recorded in Acts 2. The late Dr. H. C. Thiessen, former chairman of the graduate school at Wheaton College, wrote: “The Church was born in Jerusalem on the Day of Pentecost with 3,000 converts” (1955, 136). In 1983, the faculty of the Dallas Theological Seminary produced the New Testament segment of The Bible Knowledge Commentary. Professors Louis Barbieri Jr. and Stanley Toussaint (authors of the sections on Matthew and Acts, respectively) both contended for the establishment of the church on the day of Pentecost (Walvoord and Zuck 1983, 58, 357). Only a few rather obscure clerics continue to argue for the personal-ministry theory (Ross 1976, chapter 19). But the evidence is quite conclusive. “Jehovah’s house” was to be “established” in “the last days” (Isa. 2:2). Peter identified the events of Pentecost: “[T]his is that which hath been spoken through the prophet Joel” (Acts 2:16). Joel had foretold the outpouring of the Spirit in “the last days” (Joel 2:28-30). Later, Peter would again allude to the events of Pentecost, identifying that day as “the beginning” (Acts 11:15). According to Professor John Polhill, dean of the theology school at the Southern Baptist Theological Seminary, “the beginning” was on Pentecost at “the birth of the church” (1992, 95, 267). Additionally, Jesus had declared that the kingdom (the church [Matt. 16:18-19]) would come with power (Mk. 9:1). Later he affirmed that the power would be received when the Spirit was poured out (Acts 1:8). Since the Spirit was given on Pentecost (Acts 2:4), logic demands that the church was established that day. Finally, this point. The church was to be grounded upon the precious stone that had been tested and rejected (Isa. 28:16; Psa. 118:22). But that rejection was finalized when the Jews killed God’s Son (cf. Matt. 21:38-42). Hence, the church was not established until after the death of Jesus. In fact, it was purchased by the blood which Christ shed (Acts 20:28). Where Was the Church To Be Established? The prophet Isaiah alluded to the church’s foundation. He described a precious corner stone that was to be laid in Zion (Isa. 28:16). Zion is Jerusalem. Later, Paul would expand this symbolism, showing that the “household of God” was erected upon the teaching of the apostles and prophets, and that Christ Jesus himself was this “chief corner stone” (Eph. 2:19-20) — an obvious allusion to Isaiah’s prophecy. The point is clear. If the foundation was to be laid in Jerusalem, surely the superstructure was not erected in Galilee. Such a notion wreaks havoc with the consistency of the biblical imagery. As noted earlier, the church was to be universal in scope. All nations were to be granted access to this sacred domain. Paul emphatically shows that Heaven’s plan was that both Jews and Gentiles be united in that “one body” (Eph. 2:11-22). Moreover, as the book of Revelation indicates, their eternal destiny is to be the same (Rev. 7:4-9). How very odd, then, that dispensationalists should argue that God’s plan for Israel is national and earthly, while his goal for the Gentiles is church-oriented and heavenly. In the case of Israel, the thing to be desired was long life “upon the land [Palestine], which the Lord thy God giveth thee,” whereas the Christian’s hope is the prospect of the imminent coming of Christ to take away His Church from the earth (1951, 57). This eschatological segregation between Israel and the church has no basis in fact. The Christian movement was not a religious system that gradually evolved out of the cultural elements of the antique world. It had a dramatic beginning point. There are no traces of its roots in either Assyria, Babylon, Egypt, Greece, or Rome. Prior to the spring of A.D. 30, the church of Jesus Christ did not exist. until the Jewish state fell to the Romans in A.D. 70. From the day of its commencement, however, Christianity was a significant religious force — not only in the immediate Palestinean world, but also in the remote corners of the Roman Empire. Seemingly, the church came out of nowhere, and yet, very soon it was “everywhere” (cf. Acts 28:22). On the day of Pentecost, the community of Jewish believers consisted of a minimum of three thousand persons (Acts 2:41). If this figure embraced only those immersed that day, then the total number of disciples — including those prepared by John the Baptist (Matt. 3:5-6) and those immersed by the Lord’s disciples (Jn. 4:1-2) — must have been significantly larger. Within a relatively short period, the church had grown so rapidly that it contained some five thousand adult men (Acts 4:4) — in addition to thousands of women. It has been calculated that by the time Stephen was killed (Acts 7:60), the saints in Jerusalem numbered no fewer than twenty thousand souls (Kistemaker 1990, 148). This would have constituted more than one third of the city’s population — estimated at some fifty-five thousand (Jeremias 1969, 83). Add to these data this interesting fact. The initial impact of the gospel was within the Jewish community. As indicated above, thousands of Jews converted to Christianity. Now it is an indisputable fact that the Hebrews were strict monotheists. To them, there was but one deity. And yet, without controversy is the fact that Jesus made the claim of being deity (cf. Jn. 5:18; 8:58; 10:30). Surely only the most powerful sort of evidence (e.g., the Lord’s resurrection from the grave) could have persuaded the Hebrew mind to acknowledge the humble Nazarene as God (cf. Jn. 20:28). In logic the principle of causation asserts: every effect must have an adequate cause. What is the cause behind the establishment of the primitive church? There must be some reasonable explanation for the abrupt commencement of this movement. When the church was established under the tutelage of the inspired apostles, there was oneness of doctrine. No sectarian discord reflecting divergent theologies cluttered the early landscape of the Christian movement. Luke records: “And they continued steadfastly in the apostles’ doctrine and fellowship, and in breaking of bread, and in prayers” (Acts 2:42). The sacred historian says that “all that believed were together” (Acts 2:44). The term “together” does not refer necessarily to a specific locale. Rather, the Lord’s people were together in sentiment. Daily, the disciples were operating “with one accord” (Acts 2:46). Doubtless it was this unity, at least in part, that elicited the “favor of all the people” (Acts 2:47). Yes, “the multitude of them that believed were of one heart and of one soul” (Acts 2:32). Why do men have such difficulty in seeing that religious unity is what the Lord desires for his church? Sadly, though, as the centuries unfolded, numerous departures from the faith became apparent (Acts 20:28-30; 2 Thess. 2:1ff; 1 Tim. 4:1ff; 2 Tim. 4:1ff). Eventually, the world of modern sectarianism was fully formed. What a glaring contrast there now is between the current state of religious confusion and the church that was ushered into this world on that Pentecost almost two millennia ago. Bogard, Ben M. and N. B. Hardeman. 1938. Hardeman-Bogard Debate. Nashville, TN: Gospel Advocate Co..
Chafer, L. S. 1951. Dispensationalism. Dallas, TX: Dallas Seminary Press. Jeremias, Joachim. 1969. Jerusalem in the Time of Jesus. London, England: SCM Press. Kevin, E. F. 1960. Baker’s Dictionary of Theology. Grand Rapids, MI: Baker. Kistemaker, Simon. 1990. Exposition of the Acts of the Apostles. Grand Rapids, MI: Baker. Polhill, John. 1992. The New American Commentary – Acts. Nashville, TN: Broadman. Ross, Bob. 1976. Campbellism – Its History and Heresies. Pasadena, TX: Pilgrim Publications. Scofield, C. I. 1945. The Scofield Reference Bible. New York, NY: Oxford University Press. Walvoord, John and Roy Zuck. 1983. The Bible Knowledge Commentary – New Testament. Wheaton, IL: Victor Books.